These are books that I own. (Well, one is on the way-- I'm still using a library copy until the one I bought gets here!) They aren't vegan books (one is pretty much vegetarian), but they are extremely useful to vegan cooks with inquiring minds. I bought these books before I was even a vegetarian, never-mind a vegan. We were living in Northern BC in a log cabin with no running water or electricity (these were the homesteading days!). Even though we ate meat, I was very interested in soyfoods and seitan. These books, delightfully illustrated by Akiko Aoyagi, provided information about these essential Japanese foods, and their counterpart soyfoods in other parts of Asia. They teach you how to make these foods, as well, and then how to enjoy them in delicious recipes, some Asian and some Western-style. I consider them essential books. I stumbled upon this newer, bound version, in excellent condition, in a 2nd-hand bookshop in Nanaimo, BC. At $14, it was a steal. It contains more historical research about miso, as well as more on its nutritional value, biochemistry, production, recipes, etc.. There is much more in this edition about Chinese, Korean and Indonesian miso-like preparations. If you find one, buy it! 2.) The second book is a large tome, the Completely Revised and Updated edition of Harold Mcgee's On Food and Cooking: The Science and Lore of the Kitchen (Scribner, 2004). 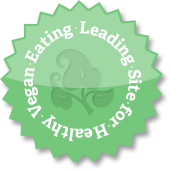 You can ignore all the non-vegan stuff, if you like, but I think it is informative when you are trying to "veganize" recipes, to learn how the animal food that you are supplanting with plant foods works, so that you have a better idea of what to use in its stead. The detailed information about how different starches work is extremely helpful for vegans trying to figure out how to make foods without eggs. There are also great sections on fruits and vegetables, grains (read the section on different types of rice! ), flavorings, nuts, different types of batters and doughs, sauces, sugars and chocolate, wine, beer and distilled spirits... There is also a chapter on cooking methods and utensil materials, and the "Four Basic Food Molecules"-- water, fats and oils, carbohydrates, and proteins. For the scientifically-inclined (or perhaps for people like me, who were never very interested in science in school! ), there is a "Chemistry Primer". This may all sound ho-hum, but it is actually very fascinating. You can just pick up the book, open it anywhere, and learn a great deal! 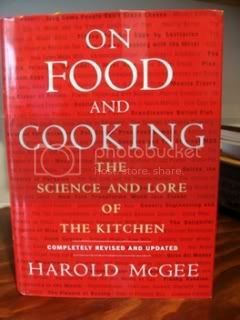 The author, Harold McGee, is an authority on the chemistry of foods and cooking and maintains a website with some interesting articles. Here's an excerpt from their intro: "Umami has always been there, we have always enjoyed it, we have even craved it, ever since humankind started to eat. Yet we, as Westerners anyway, just didn’t know what it was – let alone what to call it – until recently. Turns out that umami taste is one reason we adore tomatoes, corn,... mushrooms, ... and many other foods spanning cuisines of every culture on earth. These are all foods rich in umami taste. But, as much as umami might take credit for the enjoyment of a particular food, it is just one of many reasons we take pleasure in it. The others include the balance among the other four tastes, the food’s aroma, mouth feel and appearance, and even the sound it makes when you eat it. 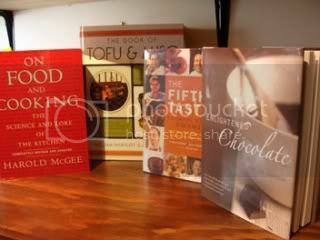 We’ll investigate these in more detail later..."
The recipes in the book are from a number of famous chefs. 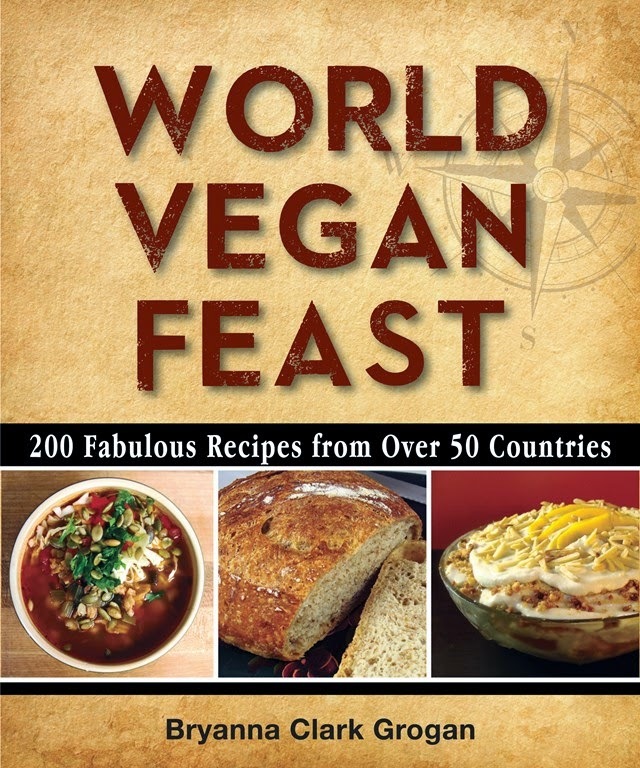 Some of the recipes are vegetarian or even vegan, or could be veganized, and some make interesting use of soyfoods. David Kasabian is a chef and food writer, and Anna Kasabian has written several books and is a regular contributor to Yankee and Coastal Living magazines. She has written extensively for other national and regional publications, including Cooks' Illustrated, Country Living and the Boston Globe. They are husband and wife, business partners and frequent collaborators. 4.) 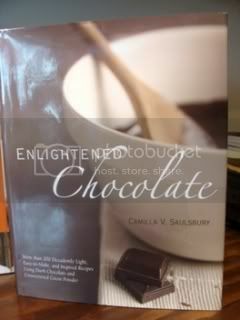 The last book I'm going to talk about is a little book on chocolate that I got out of the library last year and really enjoyed, so I bought it-- Enlightened Chocolate: More Than 150 Decadently Light, Easy-to-Make, and Inspired Recipes Using Dark Chocolate and Unsweetened Cocoa Powder, by Camilla V. Saulsbury (Cumberland House, 2007). The author is a fitness trainer as well as a cook, so her recipes are "light". I liked her writing and I liked her emphasis on less fat and calories, but maximum flavor. It's a low-fat cookbook that could make a naturally thin person salivate! The book includes both savory and sweet chocolate recipes, which intrigued me. I love savory recipes with chocolate in them and she includes quite a few from all over the world. 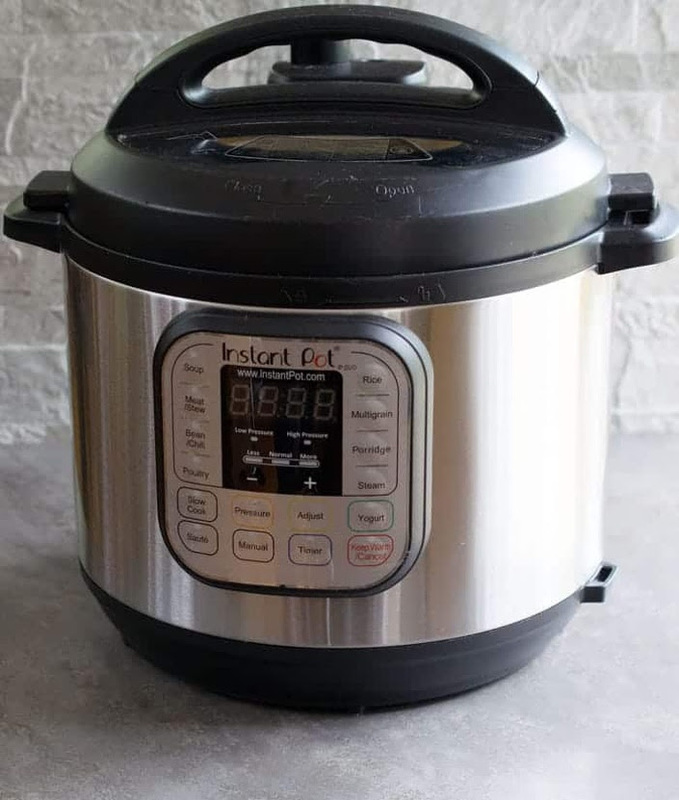 A few examples are "Moroccan Chickpea Soup", "Ultimate Black Bean Soup", "Exotic, Spiced Pumpkin Soup", "Braised Mahogany Tofu", "Spanish Black Bean Burgers", and a number of other bean and vegetable recipes. All are essentially vegetarian-- you only need to substitute a good vegetarian broth for the meat or chicken broth. In addition, "Enlightened Chocolate" provides a brief history of chocolate as "medicine," as well as easy-to-follow explanations (in lay terms) of the most current scientific information regarding the health benefits of chocolate and cocoa. The role of chocolate flavonols in the promotion of cardiovascular health is elucidated, as is how to select and store chocolate and cocoa powder for maximum flavor and maximum health benefits. Includes 30 small color photographs." 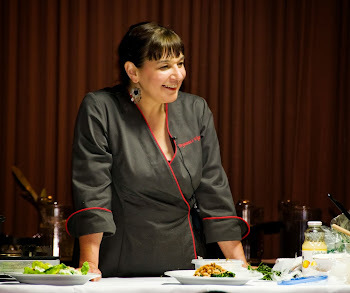 Camilla Saulsbury is a freelance food writer, fitness trainer, recipe developer, and cooking instructor. She has written 10 cookbooks, mostly on baking, and her articles have appeared in many magazines, including this prize-winning couscous recipe in Vegetarian Times. 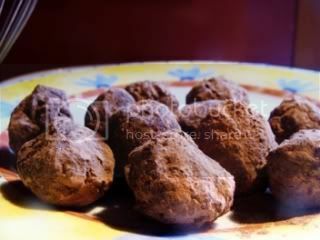 They look like chocolate truffles, don't they? No peanut butter in these, and very intensely chocolaty! Yum! Thank you for the great recommendations. I rarely venture outside of vegan food books, but I have no idea why. There is a wealth of information in all books! I'm particularly interested in On Food and Cooking. Thanks! Thank you for posting this! Each book sounds fascinating and informative. I borrow cook/food books from the library if the appropriate ones are available, so hopefully my local branch will have carry some of the books you've mentioned here. I have a twin to your original Book of Tofu! Thanks for the suggestions. 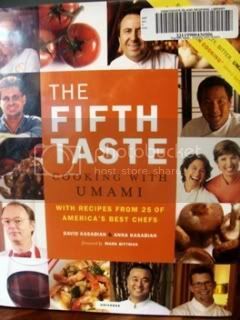 I hope to track down the umami book. 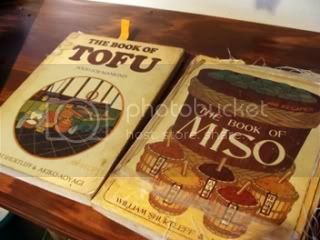 I have the original tofu and miso books - both decrepit from use. The other books you listed sound like great additions to a cookbook library. Thanks for reviewing them. Thank you so much for the lovely review of my chocolate book! Your blog is wonderful. Speaking of chocolate: just posted my new power bar recipe on my blog (enlightenedcooking.blogspot.com). It's no-bake, vegan, raw, and utterly delicious! Thanks for writing, Camilla! That recipe looks very good-- I generally don't buy power bars (I know what you mean by "chalk-let" good one! ), but this would be great for a long hike! Thank you for the thought provoking reviews. I was able to find a used copy of Tofu/Miso combination on Amazon for a fair price. Will, or have you already, share the recipe for those yummy looking "Hot Rods"? I have my own dilapidated book of The Book of Tofu! How funny. It's a bit overwhelming for me - I tend to want to jump right into recipes, but it has a lot of text. I should be patient with it, I guess. Thanks for the reviews on the others, as well. The tofu cookbook looks very interesting..I think Tofu is so versatile and want to try to make different things with it. 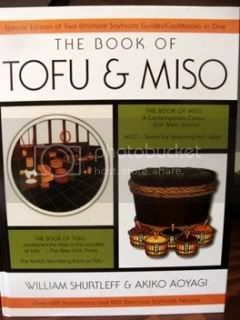 I have the Book of Tofu, and it's fascinating. It gave me so much respect for tofu!